A new year is upon us and thus far the concert schedule has been rather slim — at least for yours truly. Not only is this the first concert that I’m attending this year, it is also the first one that I’ll be reviewing. The venue tonight is located in Randers and is called Turbinen. This is only the second time that I have gone to a concert here, the first time being last year’s edition of this very festival, but so far I only have positive things to say about both the venue itself and also the sound — so hopefully tonight won’t be an exception. The annual mini-festival Midwinter Meltdown is back for the 14th time in a row, and for the second time here at Turbinen. The aim with this festival is to give the opportunity for smaller local and underground metal bands to get some live experience in front of a larger crowd, but of course also one or two larger bands to draw in a crowd are always included. At last year’s edition, this task was given to the two Danish bands Hatesphere and Illdisposed, but this year, there’s international acts on bill: the Polish act Sixpounder and the Belgian outfit Evil Invaders. The latter was praised as a class-A live act when they visited the even smaller festival Heavy Agger last year, so this, for me, was definitely an act that would draw in a bigger crowd. Quite right, already before the first band takes the stage there is a decent turnout, and while the air fills with a nice smell of chili con carne, which is available for purchase for a fairly reasonable sum, the first act, Fear Unfolding, enters the stage. This four-piece plays heavy metal in a rather simplistic style — but with plenty of heavy riffs. The band is unknown to me, but I am nonetheless positively surprised by the lead singer’s powerful voice, which helps the songs get over the edge of the stage. The entire outfit is pretty stationary, which is a shame really, because the songs, albeit straightforward, are solid hard rock/heavy metal pieces. The group lacks showmanship at first, but this gets better as the show progresses. The members, as well as the riffs, receive more flare, as the four musicians loosen up, yet it still looks like they haven’t performed much prior to this show. Luckily, it looks like they enjoy themselves, and admittedly they do do their best to warm up the crowd. Needless to say, the overall performance is a bit dull, even if the songs are very hard hitting despite their simple nature. The last song even contains some tribal-inspired drumming in the style of Sepultura and Soulfly, which definitely improves the experience, if only a little. Before leaving the stage, the bassist shows his gratitude to the audience with a loud “Thank you, Frederikshavn!”, which seems pretty odd, considering the passive response. A clear change in genre happens next, as the Danish band Ghost Iris plays a more ‘djenty’ take on modern metal, with both growling and clean singing. The difference in the live performance between this band and the first is also very noticeable, and already during the first song, the lead singer is commanding the crowd to carry seven-string guitarist Daniel when he decides to stage dive. The down-tuned and breakdown-heavy songs are executed in dark conditions, since only four pipes of light are blazing back and forth with red, yellow, blue and green lights, but somehow this adds to the atmosphere. Especially impressive is the drummer; his playing is close to flawless, yet he still manages to windmill in the midst of it, which makes for a remarkable sight. Also, the clean vocals are spot on, as are the higher pitched ones, and the combination of the cleanly sung passages with heavy breakdowns makes room for the crowd to get a bit of moshing going. And this is what I love about the djent genre: even without a bassist, they still achieve a heavy and brutal-sounding style of metal, which of course is a juxtaposition to the clear singing in which the lead singer excels. Again, it is obvious that the band is pleased to be here, not least because the crowd has grown visibly in size. Showmanship is definitely also a factor here, so even though it still is rather early in the evening, Ghost Iris pulls of a very decent show. 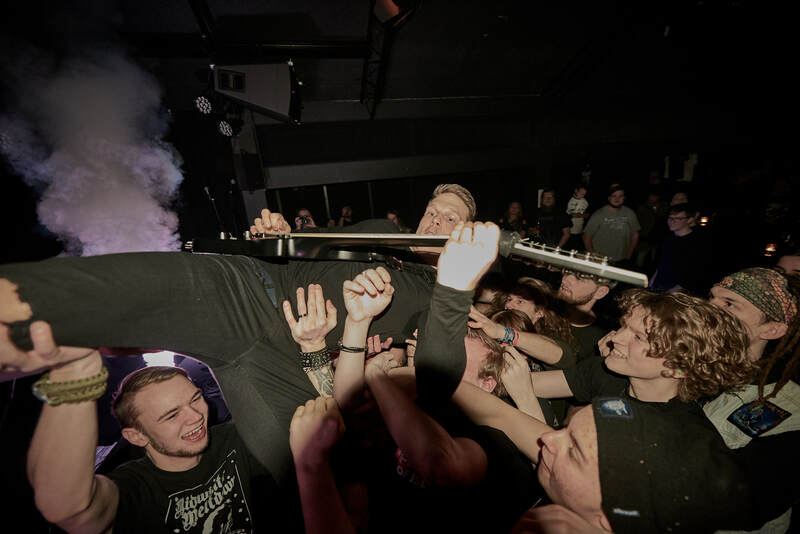 Right from the get-go, the tempo is high and the groove and death metal is straight in your face as Livløs launches into its set, which clearly sits well with the crowd. The song structure is clear; you know what to expect when they play — but in a good way, of course. 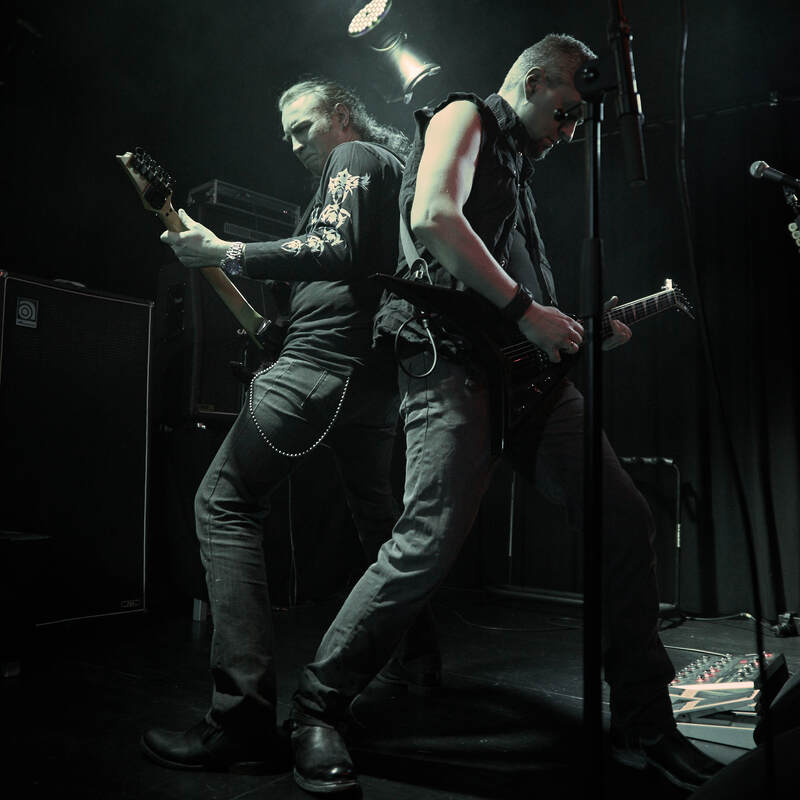 The energy portrayed by the entire band is crisp and immense, with both frontman Simon Olsen and bass wielder Søren Frambo especially appearing all over the stage. It is obvious that this band wants to start a party, and as Olsen starts whirling his arms around and doing one high kick after the other, we’re treated to a song called “Noctum”, which they haven’t played live before. There’s little to no between-song banter, but the songs speak for themselves. This works really well, as the crowd in front let their hair go and start to bang it uncontrollably, which I’m not even sure I saw at their last concert. “The Sleepless”, from their début album, “Into Beyond”, makes sure that the mosh-hungry people are fully satisfied. It would seem like everything Simon Olsen touches musically slays in-concert; indeed, his other outfit Baest also kills it live. But don’t be mistaken — the entire band is clearly able to write songs packed with force, so that every Livløs concert becomes worth watching. It is perhaps a bit early to call it, but the Danish metal community has been searching for a frontman able to take over from where Jacob Bredahl of Hatesphere left off, but every time I watch Olsen on stage, I keep hearing and seeing similarities between the two, both in terms of the vocals and the showmanship he portrays. 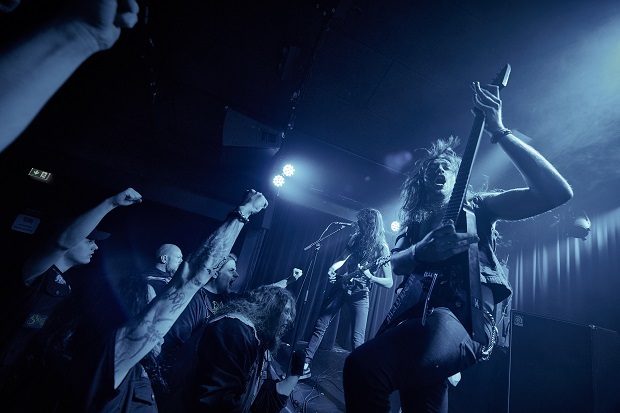 Whether it is too soon or not, however, Livløs is still one of the best party starters of Danish metal, and once again they deliver a highly entertaining concert of international class this evening. 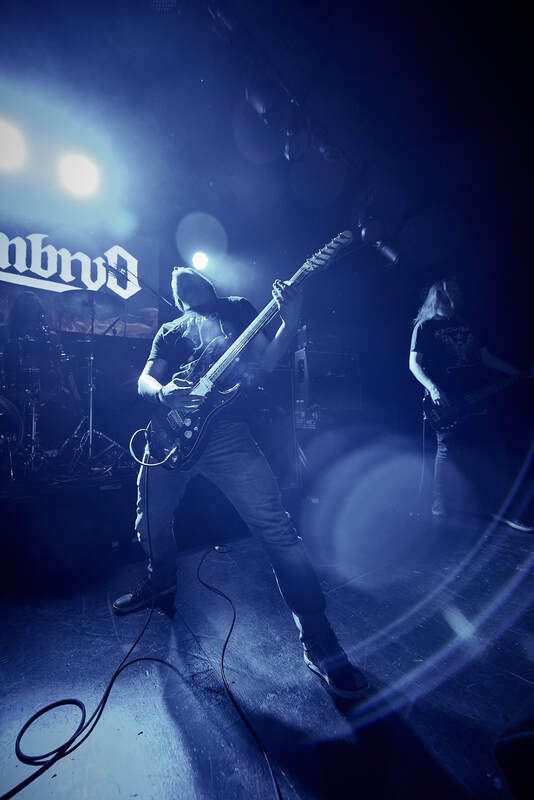 What is probably best described as energetic stoner/heavy metal, the local quartet Embryo always seems to draw in a larger crowd than the last time, whenever they perform in Randers or the surrounding cities. 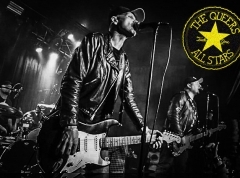 The music is heavy and tight and filled with killer riffs, which owes to their playing together for a long time now. 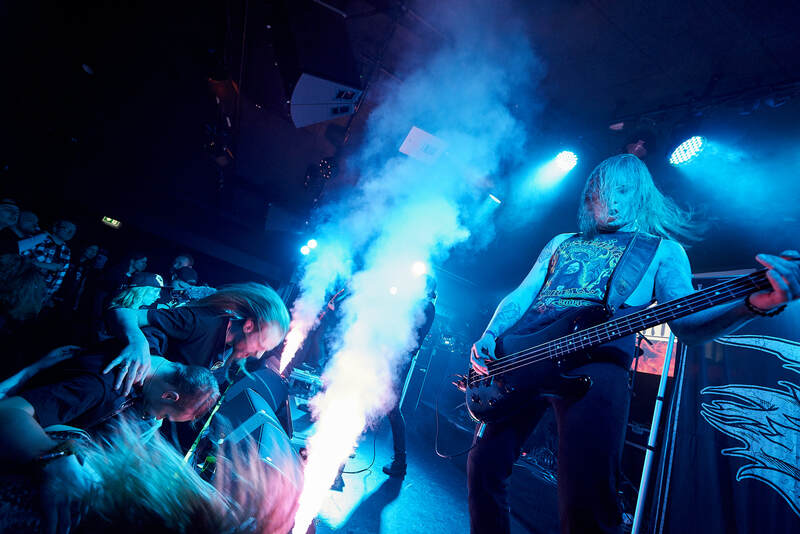 Wielding the bass is Niels Thøgersen, who fittingly wears a Crowbar t-shirt to make it clear what some of the inspirations behind the band’s music are. It’s heavy and slow like the NOLA legends, but still coupled with the band’s own take on both the guitar and vocal style. 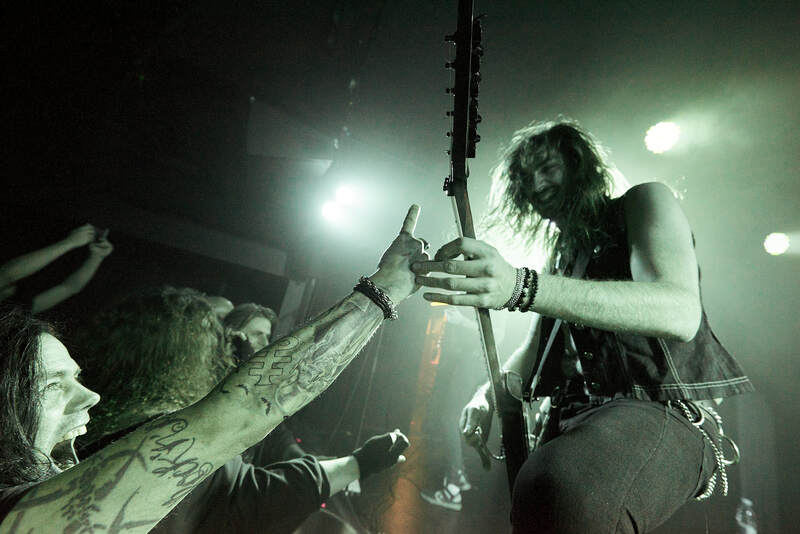 The slower elements are mixed with more energetic bouts of both rock, metal and even blues in some songs, and switching between high energy and longer passages of either guitar solos or old-school heavy breakdowns works extremely well. It quickly becomes evident that they’re experienced live musicians; especially towards the end the riffs, showmanship and stage performance all come together nicely, and this just underlines how interesting a take on the stoner/heavy metal genre Embryo’s music is. The first international act of the night is the Polish modern metal band Sixpounder. Having not heard about this band prior to tonight, I was eager to see what they were about. As it turns out, they are a very atypical Polish band, playing nothing like the black or death metal that bands from that particular country tend to do. The music is bass-heavy and the vocals are both clean, growled and yelled. This is easily digestible melodic metal (when lead singer Filip Salapa growls, perhaps it slightly ventures into death metal, it should be said…), but it works well because the band seems to have plenty of live experience. The vocalist continually tries to get the crowd going, which again has grown noticeably in size. But alas, it is a bit obvious that the audience really doesn’t know this band. And the thing with an unknown band playing live is that either you really dig the music or you don’t. Of course, the stage presence is a rather big factor as well, but if you’re not really feeling the music, then it really becomes an uphill battle for the band in question. The Sixpounder does a very good job performance-wise, but the majority of the audience just isn’t really into this kind of metal — only the front row attendees give it their best, banging their heads. This of course doesn’t stop The Sixpounder from give it their best shot. But they still fail to break through the famous ‘second barrier’, if you like. The music contains plenty of groove and great breakdowns and hooks, yet the crowd still acts relatively pacifically throughout the entire concert. The band even tries with a sort of ballad towards the end, but that pretty much falls through, not catching on at all. This strikes me as a bold move, since they might have already had an idea that not many people had heard of them up until tonight. But they nonetheless do a good job at at least trying to get the audience going, so as a performance act I would say they pull of the task nicely. But either the music completely misses the majority of attendees here (which would seem strange, since it simply pounds from start to finish!) or people’s knowledge of the music simply doesn’t exist. I’d probably go with the latter, because it is hard to put many fingers on the band’s performance itself. Still, the overall experience turns out to be rather stale — especially when taking the sheer force of the next band into account. I thought I knew what to expect, as the final band of the night plays thrash metal. But since I’ve heard several individuals praise the Belgian speedsters Evil Invaders to the sky and beyond, I have been eager to see if their reputation had anything to it. As fast as the music goes, as quickly they enter the stage — a full 15 minutes before they were scheduled, they come blazing onto the stage, and this would show to set the pace and tone for this final concert of the evening: fast and speedy thrash! My first impression is literally “Holy f***ing s**t!” I’ve heard a couple of songs prior to the show, but I am simply blown away by the energy and power that this band possesses — this is how thrash and speed metal is meant to be played live. 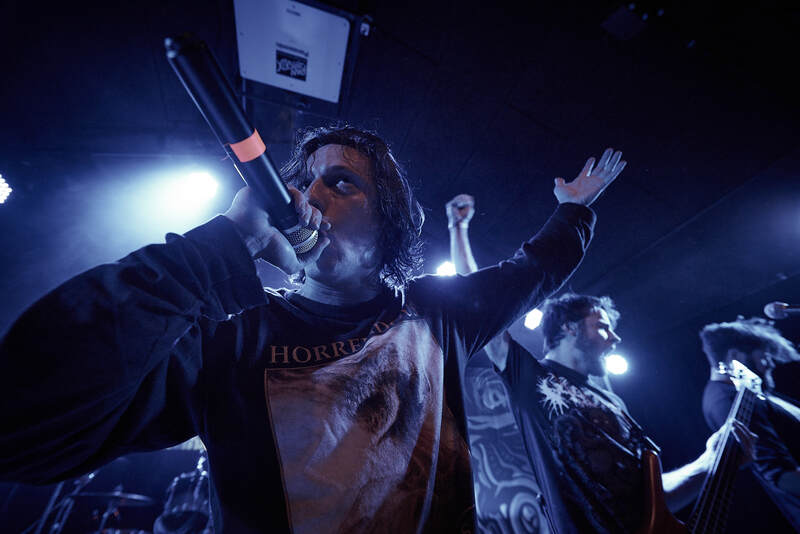 Lead singer and guitarist Joe is pacing back and forth on stage, truly underlining how energetic this type of metal can be — really impressive and just insane — all the while the other members continue to run from side to side, and it is just so easy to see how much they enjoy playing live. The fan-favorite, “Fast, Loud ‘n’ Rude”, even starts a moshpit in the audience and everyone proceeds to just lost it. People are all the way in the front and the room is really crowded — this is how a real headliner performs. I’d imagine this is what it was like watching some of the legends of this genre back in the ‘80s, as the brute force with which they perform, mixed with a level of energy rarely seen, makes this a night to remember — and on several levels. As the last song is aired, Joe jumps down into the audience and whilst playing, he swings his guitar around, accidentally hitting one of the spectators in the head with the edge of is axe. As a result, blood flows everywhere! Luckily, as I am told after the show, it is not as bad as it looks, and Joe even goes with him to the hospital afterward to apologize with horns and some merchandise. For the rest of the audience, however, this accident just adds to the insanity that is Evil Invaders live. To me, this will forever be one of those concerts that, when people ask you where you first saw this band, is just written in blood and metal in my mind. This is perhaps a band that has the potential to become a legendary live act, so if you’re yet to witness their immense force of thrash and speed metal, and not yet convinced by their studio albums, go check them out live. Perhaps you’ll even find yours truly in the middle of the pit, because this was just mind blowing. The following grade is not only a testimony to how well the band performs, but also a clear statement of how good thrash metal still can sound in 2018! And although the year has just begun, this will quite possibly go down as the best concert I get to experience this year — perhaps even in several years!